People who look at organic traffic solely as a free traffic source don’t usually succeed. That’s because they don’t understand the value of investing in SEO. While you aren’t paying for the individual clicks and impressions that SEO will provide you, you do need to invest time and money into your site, your brand and your content. This scares a lot of people. Unlike PCP advertising on Facebook or AdWords, it’s a bit harder to gauge the ROI of your SEO efforts. It can be hard to assign a dollar value to each improvement. Despite that, the businesses that are winning in e-commerce right now are those who are investing in SEO. Another challenge is that SEO lacks any clear-cut guide. Google (and other search engines) is constantly changing and improving its algorithm and they keep that information private to prevent people from gaming the system. It’s become so complex that numerous high-level Google employees have admitted that they don’t really understand how the RankBrain portion of the algorithm works anymore. The world’s best mathematicians and engineers can’t even tell you what it’s doing under the hood. But SEO doesn’t have to be elusive. We may not know exactly how the ranks are calculated, but we do know the goal: Google exists to provide the best answers to people’s questions. 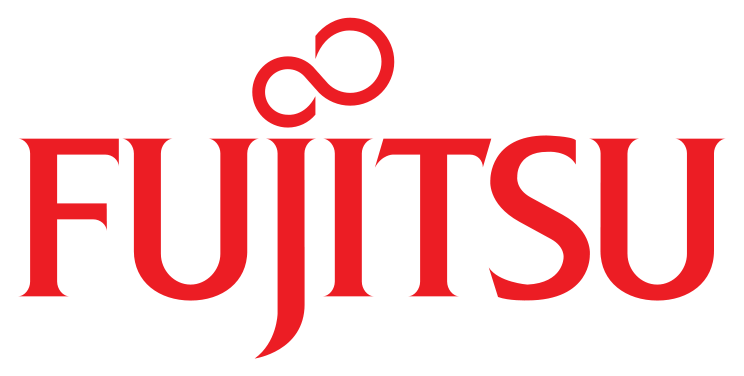 Above all, they prioritize happy users, quick results and user-friendly websites. Knowing this and drawing on years of experience, we know the most important steps to take as you begin to craft your winning SEO strategy for e-commerce stores. Keywords are the cornerstone of shopify SEO (as well as SEO for other independent e-commerce stores. If you don’t know what your keywords are, everything else is a waste of time. Even if you did, it might not help your business much. Let’s say you want to set up an e-commerce store selling purses and handbags. You might sign up with Shopify and Oberlo, and start importing your products. “Handmade leather purses.” There’s your keyword. It’s important to rank for words that your target customers will actually be looking for. Even if a keyword has high volume, it won’t do much good if the searchers aren’t interested in what you have to offer. 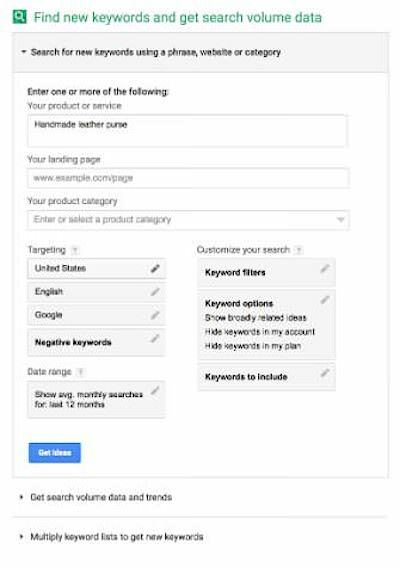 While it might be easy to come up with a list of 10-20 simple keywords for your products, there’s actually a better way to target your customers. Use long-tail keywords. These phrases are keywords with 4+ words that target specific questions your audience has. They’re usually more specific to your product or the problem you solve. And best of all, they are often much less difficult to rank for because of that focus. Here’s how to quickly find good long-tail keywords. A good way to start is by listing the names of your products, your product categories, and some terms related to them. You should create separate lists for each product segment you sell. The Keyword Planner is free to use once you’ve set up an AdWords account. If you don’t have one already, don’t worry – it costs nothing and takes just a few minutes to set up. Once you’re signed in, plug your keywords into the planner tool one at a time. Clearly an article on your blog about how to clean a leather purse would attract the kinds of people that buy leather purses! While they may not be looking for a new product right now, it would be a good way to introduce your brand or store to them. But remember, the focus here should be on long-tail keywords with decent search volume. If you can find some with a lower competition rating, even better. What those are varies from industry to industry, but after running a few of your terms through the system, you’ll get the idea. You can take this one step further by organizing your new list of terms as “informational” or “purchase intent” keywords. Base this off your best assumption about the emotional state of the person making this kind of search. Leather bags for men implies a purchase intent: they’re looking for a specific product. Whereas, how to clean a leather purse is more informational. Keywords for purchase intent should be used in product descriptions, category pages and blog posts that contain a sales angle. Informational keywords are better targeted at long-form blog posts to bring readers to your site and your newsletter. Informational keywords may not convert directly, but they’re still an important part of your strategy. As your site ranks higher, it’ll boost all your pages as well as increase brand awareness and grow your customer base. Pro Tip: if you have a lot of keywords and aren’t sure which you should target, use a tool like Moz or Ahrefs to understand which keywords might be easier to rank for and target those first. Before you start trying to rank for your keywords, you need to take care of some housekeeping. It’s important to make sure that your site is ready to rank and deliver the best customer experience by following these best practices. These not only hurt your business and cost you customers, but can hurt your rankings. In 2010, Google announced that they consider page load speed for ranking purposes and recently announced that they plan to extend that to include mobile speed. Remember – Google prioritizes customer experience above all. You’re asking customers to hand over important private information, such as their name, address, credit card details – everything someone would need to steal their identity. On that note, you have a moral (and often legal) obligation to secure your checkout and login pages. But you shouldn’t stop there. You want customers to feel safe and trust your site from the moment they enter. If someone doesn’t feel like your site is secure, they’ll probably leave before the checkout page anyway. 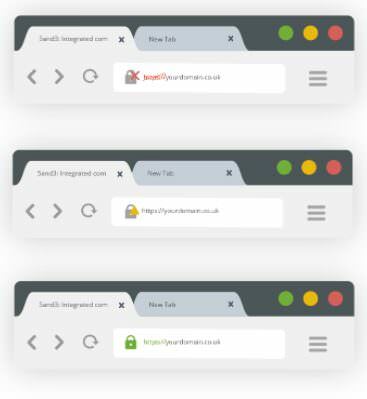 On top of creating a poor buying experience, Google has publicly stated that they will give a ranking boost to any site that is secured by HTTPS. You want to make your URLs as flat and clean as possible. The URL should clearly describe the content of the page, like the name of your product or the title of your blog post. These URLs help Google and users understand what your page is about and rank it accordingly. Make sure to include your targeted keywords and keep it short and sweet. Try to avoid dynamic URLs with messy parameters like ?source=335dsdSWE4. If you can’t get rid of them completely, at least make sure the first section of your URL is legible with good keywords. See Google’s recommendations for how to structure your URLs. 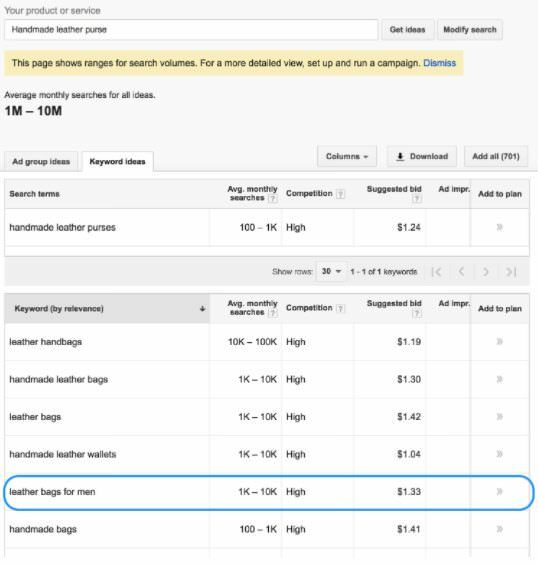 As with most things listed here, forgetting this will dramatically damage your customers’ experience and cost you sales as well as SERPs ranking. This can be detrimental to your site. Not only will it cause customers to leave your site without buying, but it will also stop Google’s bots from properly crawling your site and indexing all of the pages. If the discontinued pages were ranking on Google in the past, they will quickly be removed and that damage cannot be undone. Fortunately, 301 redirects to save the day. 301 redirects (a.k.a. permanent redirects) will automatically forward any traffic that comes to a given URL somewhere else. You can send them to your home page, a category page, or the new location of the post you took down. The best thing about 301 redirects is that they will also forward a lot of the SEO value that the page has accumulated over it’s life. If you use a 302 redirect (or none), then the new page will have to start from scratch. The old SEO value will be lost. If you need to migrate your site to a new service, a new domain, or just need to do some reorganization, make sure you set up all your 301 redirects before the update and turn them on immediately. Pro Tip: A common reason for e-commerce sellers to have a lot of dead 404 pages is out-of-stock products. If possible, set up your site to leave out-of-stock product pages up. Better yet, turn them into email capture forms so you can tell the customer when the product is back in stock. Pro Tip 2: No one is perfect and you’ll probably miss some dead pages. It’s a good idea to set up custom 404 Error pages to give your customers recommendations or options for where to go next. 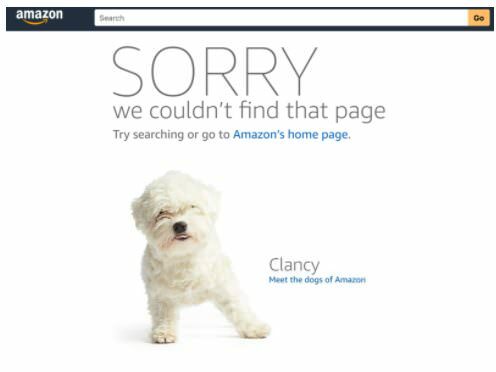 Compare Amazon’s 404 Page (below) with Macy’s (the “Not Found” image above). This one is helpful, pleasant and playful. Instead of getting annoyed, you get a cute puppy and simple steps to get where you want. Sitemaps help Google’s bots crawl your site efficiently. Essentially, you’re giving them a floorplan for your site. It should list all the pages on your site, including products, categories, informational pages and blog posts. A lot of website building tools will generate one of these for you automatically, but if you need more information on how to set them up, head over to Google. This is an easy way to make sure your complete site gets indexed and ranked quickly. On-page SEO is all about how to craft the contents of your page to rank well in search engines. Technical SEO is the foundation you need to lay, and if you skip it, you’re doomed to fail. Then on-page SEO is what will separate you from the pack and get you higher on the SERP. You could build a whole service around helping people master SEO (oh wait, we did), but here are some great places to start. Keyword stuffing and black hat tagging are things of the past. Google has evolved and become smarter. But keywords still play a crucial role in your success. Include important keywords in each product’s title and URL. And make sure to include your long-tail keywords in product descriptions as well. Don’t use the keywords a million times, but make sure they’re in there. It will be pretty hard (though not impossible) to rank for keywords you never even use. Remember though, make it sound natural. At the end of the day, your objective is to make customers happy and Google will reward you for doing so. Focus on writing strong copy with detailed descriptions of your product. Then go and work the keywords in if you need to. Start a blog to address questions that your customers might have at different phases of their decision-making process. Some of this will be purely informational, like how to clean your leather without ruining it. But other content might be more salesy, like what makes the best travel backpack with a pitch for your product at the end. The point is to attract new customers at all phases of the buying process, not just those in the decision phase. If you only try to sell when the customer is finally ready to buy, you’ll find yourself at a severe disadvantage to those that have been slowly building a relationship with them since they first became aware of the problem or need in their life. Show people that you care about your product, your industry and your community. Craft meaningful, thorough content for your site. Pro Tip: The co-founder of Moz SEO Rand Fishkin strongly recommends that you keep your blog on the same subdomain as your store for best SEO results. That means use www.mystore.com/blog, not blog.mystore.com. Your site should be as user friendly as possible. Have I mentioned that enough yet? Google wants their users to have the best experience, which means they will send them to sites that give them the best experience. No matter how many times Google (or its self-programming computers) alter the algorithm, this concept will not change. It’s the only true future-proofing SEO technique out there. You might notice that all of these could probably also be found in a “how to increase conversion” guide. That’s because a great site is one that converts. And Google rewards great sites with better ranking. This is an easy way to really improve your site. Start internally linking your pages together. For your blog, that probably means including relevant links to other posts on your own site (like I just did). That could be posts talking about similar topics or relevant products and services you offer. The key is relevancy. It should flow naturally and make sense. 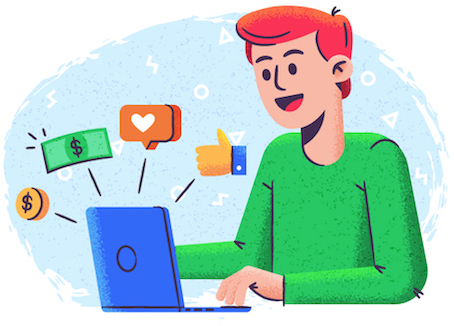 This will increase engagement on your site and keep customers around longer, build solid relationships, and lead them down your sales funnel. Google loves engagement. 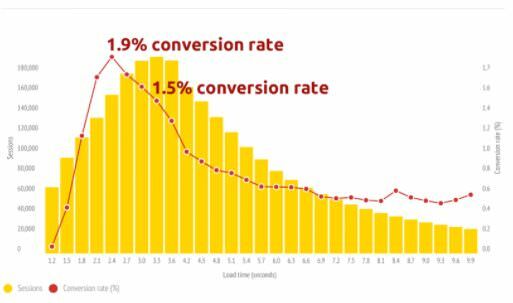 The best sign of good user experience is that once a customer goes to your site, they spend the next 2 hours on your blog. For your product pages, this might be linking to related products or posts with additional sales information. Once you have customers on a product page though, it’s generally not a good idea to send them off to read an informational blog post. You’ve got them in decision mode, so everything you link to and offer at that point should be about helping them make the right choice. You should focus on encouraging action. Pro Tip: You may not have many pages to internally link to in the beginning, but you can always go back and add them later. After you’ve written a few blog posts on a topic, go back and see if you can update any of them to link to one another. Mobile is becoming more and more important. In fact, last year Bloomberg reported that mobile has now surpassed desktop for the largest source of e-commerce traffic and trends show that it’s headed that way for sales, too. Google has been pushing the importance of mobile in ranking. For instance, soon your mobile page load times may directly affect your rank on Google’s SERPs. Beyond load times, you should make sure to give your site a top-to-bottom mobile review and optimize it for speed and user-experience. A winning SEO strategy takes time, practice and patience, but it’s well worth the effort. Once you begin ranking for good keywords, you’ll see recurring organic traffic come to your site. If you can do that, you’ll be well on your way to the first page of Google!